Who provides cost-effective car insurance for military base residents? 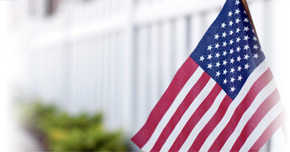 Direct Auto & Life Insurance proudly serves our armed forces with insurance designed to address service member needs. With low rates and easily-customized payment options,* Direct Auto is an excellent insurance provider for Army, Navy, Guard, Marine, or Air Force members who are in need of simple coverage that fits their needs. Let's uncover more about how Direct Auto can help service men and women in Benton get the right car insurance coverage. Direct Auto understands that service members stationed in Benton have many choices when finding a car insurance provider. But when you choose Direct Auto, you'll receive an insurance plan that's built just for you and our friendly representatives can help advise on the insurance fundamentals like state minimums and medical payments auto coverage. That's one reason we have online resources like the Coverage Assistant. By using the Coverage Assistant, you can find out what insurance matches your needs and allocated budget, without having to overspend on coverage. The Direct Auto team provides help throughout the quoting and purchasing process, providing in-depth details about what your plan covers. From Uninsured Motorist Auto Coverage to Rental Reimbursement, to Rental Reimbursement, we want our military car insurance customers to feel informed about how their plan is working for them. Additionally, we understand that many of our policyholders are always on-the-go, which is why we designed the DirectDrive app.† The DirectDrive app allows customers to log trips and track their driving behaviors, which could grant them rewards and even decrease their monthly bill. Customers can even pay their car insurance bill through DirectDrive. How convenient! With only a few clicks, you're able to pay your Direct Auto bill, get real-time feedback on driving habits, and compete against other DirectDrive app users without ever having to slow down your busy life. iPhone or Android users can download the DirectDrive app for free through the app store. Want to begin your Direct Auto car insurance policy for military base residents in Benton? Contact us at 1-877- GO DIRECT or start your auto coverage process online now!